More often than not, the writer does not know the answer. Sometimes he pretends to, but he does not. He would not be writing the book if he knew the answer. He writes because he is groping in a darkness which is even more pessimistic and pathetic than the bleakness in the reader when he picks the book. That is because the writer has hit the starting point of discovery where he realizes that he does not have the answer and he needs it to make sense of life. It does not matter what the genre or style of the book be. 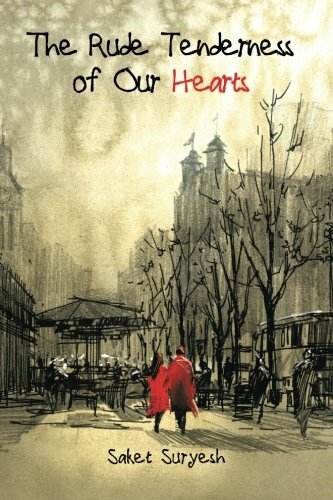 It is always worthwhile to read a book written by the writer with such an intention. Such books will always contain the message which never ages with time. The Fall by Albert Camus is one such book. 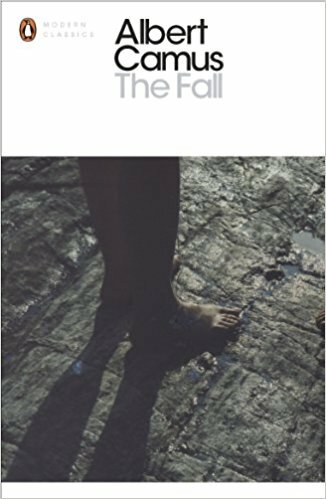 It is just a matter of coincidence that I read The Fall right after I finished Nausea. It seems as if this book and the earlier one were written by the same man. But then the tired, spirit of man, in search of salvation is always the same; always struggling, inching towards an ever-elusive meaning of life, the soul remains same whether it is Sartre writing Nausea, Dostoevsky writing Notes from the Underground or The Fall by Albert Camus. There is something utterly serene about a cloudless, moon less night. More so, if one is looking at the sky from a mountainous area. There is darkness spread all around, the unpolluted, untainted darkness as if the Gods would have spilled the ink while writing some Epic. And then there are small points of hope- bright, little stars shining through the darkness. The lights coming from them is straight, precise and purposeful. It does not spread in an ugly cumbersome manner on the darkness around. Almost like a surgeon's knife it cuts through its own path. The darkness and the light do not touch, disfigure one another. This is precisely what one feels reading The Fall. The story spreads itself over the conscience like a dark, black night in the mountains, and stars are like sharp and splendid aphorisms which shine in the darkness. The story is studded with them. Nietzsche compared aphorisms with long legs which helps us walk easy in the uneven lands. In short sentences, immense truth is held. The prose is immensely fulfilling. The story is a conversation of Clamence , a lawyer, in a Dutch bar with a stranger. Though calling it a conversation will not be entirely correct. It is more of a monologue, a struggle, a search for meaning. Unlike Dostoevsky's hero, Clamence , on the other hand, is a very successful man in every measure of societal success. He is upwardly mobile, socially-conscious man to a fault. But he is haunted by a vacuousness which threatens to engulf his life. He believes that what he is living a charade. "In the course of an extensive study of myself, I have laid bare the duplicity of the human animal." The man is troubled by the truth, he is tired of living an unreal life. The political correctness elevated him socially, but in the end he sits wondering if it was worth it? "I realized that modesty helped me to shine, humility to triumph and virtue to oppress. I made war by peaceful means and in the end obtained all that I desired through unselfishness." This line, in its structure, explains how tired Clamence is of contradictions and lies of his life. He laments, he struggles but it is all in vain. He wishes a woman may drown in the held, so that he could feel good about himself. This sad saga continues, in his life, in our lives. "Aren't we all the same, continually talking, addressing no one, constantly raising same questions, even thought we know the answers before we start?" Can we save ourselves and the world before it is too late? The world of reason and debates is collapsing, the lines are drawn and the world insists that we take a side. This book does not answer the questions, rather leaves you with many. It leaves your spirit awaken and your mind burning with an intense desire to mean something. Extremely well-written, intensely thought-provoking book, A meaningful, must Read.